I finished one of my scarves for the Red Scarf Project 2007. 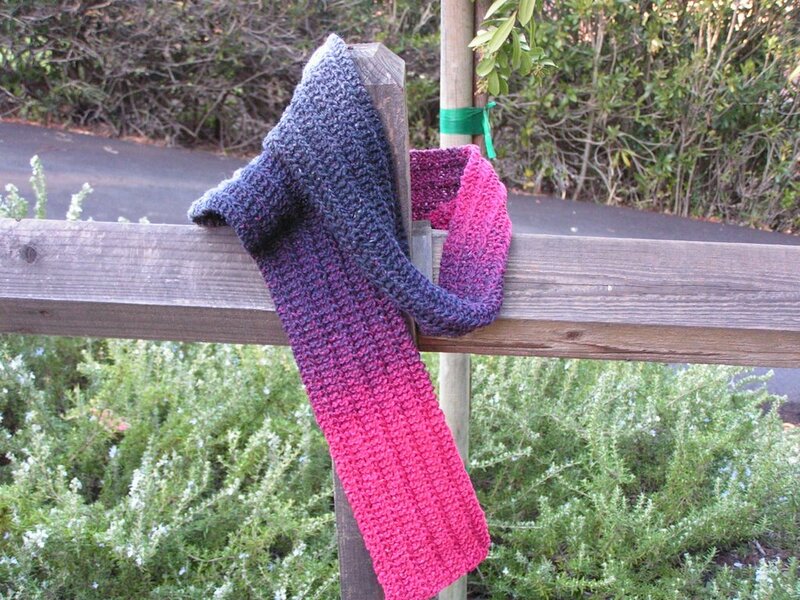 These scarves are given to boys and girls (or since they are 18 I guess Men and Women) who have aged out of the foster care program. They are given for Valentine's Day so that's why they are red. This one is actually red, grey and black. I figured it would be good for a guy. It is the yarn harlot's really easy scarf pattern - cast on in a multiple of 4 plus 2 stitches then knit 2, k1 through the back, purl one and repeat until the last 2 stitches then k2. It's really easy but creates a very pretty scarf. I was also making a more femine red one with a sea foam pattern but alas that has taken much longer so it will not be done in time. I guess I'll be forced to keep it! That turned out great. I'm sure the recipient will love it. I'm also sure it will mean a lot to him (her) that someone took the time to care. You are knitting for such a great cause. The scarf is beautiful. Love the colors. I'm sure it will be very much appreciated.